MPs have criticised planned closures of nearly a third of magistrates courts in Wales in order to save money. The Ministry of Justice said 12 magistrates and four county courts would close to make way for a "modern, efficient justice system". But opposition MPs have warned of transport difficulties for the victims of crime. 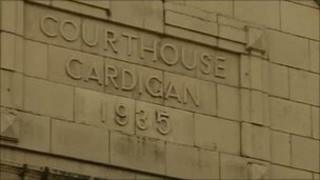 There are currently 38 magistrates courts in Wales and nearly a third are earmarked for closure. Ian Hamer, deputy chairman of Barry Magistrates, agreed that the closures would increase the cost of travelling for victims of crime. "It's a sad outcome - we are going to see a busy court with modern up to date facilities close," said Mr Hamer, referring to the closure of Barry's court. "For someone sitting in central London the journey into Cardiff may appear irrevelant but to somebody living in rural Vale (of Glamorgan) it is very difficult. "It is going to increase cost for access to justice for victims of crime and for some of the most vulnerable in our society. "Siginifcantly, it will add cost to other users as well such as the Vale of Glamorgan local authority and, therefore, the council taxpapyers for the Vale of Glamorgan." The Conservative MP for Monmouth, David Davies, fought and won to keep his own local court open at Abergavenny. But he said he was not "bothered about profilic criminals having to suffer a bit of inconvenience... given what they had put other people through". Meanwhile, Cynon Valley MP Ann Clwyd pointed out that there was no bus to Merthyr from the Cynon Valley and she invited the minister to catch a local bus with her to find out how difficult transport would be. Leanne Wood, AM for South Wales Central, called it "deeply disappointing news" for the Rhondda and Cynon valleys. She said the Westminster government were "running the risk of administering justice on the cheap". Elfyn Llwyd, MP for Dwyfor Meirionnydd, said there was one court in his constituency to cover an area 100 miles in every direction. "Is that local justice?" he asked. Justice Minister Jonathan Djanogly has said the reform would help deliver a modern, efficient justice system. "There will be longer journeys for some to their closest court but we should not operate courts just to shave minutes off a journey that many will never need to make," he said.